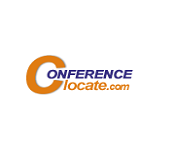 The Conference CHEMISTRY 2018 revolves around the theme “Role of Polymers in creating an Eco-Friendly Environment”. Chemistry 2018 paves a very good platform for the Scientists, Chemical Engineers, Deans, Professors, Chemical Manufacturers, Students and Academicians to exchange their ideas, updates on Polymer science, recent innovations associated with it. The recent advances in Polymer Chemistry such as the innovative Polymeric Smart materials, Application of Polymers in Medicinal field, their application in different domains of Science and Technology are to be discussed in this Conference Chemistry 2018. The different phases of polymers from domestic applications to biopolymers and to therapeutic polymers will be elaborated with relevance to the practical approach through some workshops, forums in the Conference Chemistry 2018. 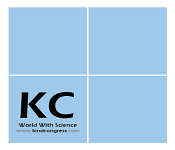 The significant role of polymers in human life will be highlighted in the Conference and this will be a milestone in the revolution of Materials and Polymer Chemistry.Discussions related to Materials and Polymer Chemistry through variable means will definitely explore the new methods to improve the existing technologies and to develop new applications of the polymer with an aim to make the Environment Eco-Friendly. Material Science is an interdisciplinary field which comprises of Metallurgy, Ceramics, Solid-state Physics and Chemistry. It is important to know about materials, their properties, influence of properties on their structures and the processes to make things stronger, cheaper, lighter, more functional and more beneficial in the current world. Some of the most commonly used materials are glass,rubber,wood,alloys,etc. The materials are classified on the basis of their atomic bonding and forces (strength and weakness). Materials can either be created or destroyed (disintegrated/broken down) according to the needs and uses. Different materials are used for different purposes. Understanding how materials work enables Material Scientists to create new materials and to develop the existing materials with improved performance. The knowledge of the following three important aspects help us to improve the existing materials, or to discover new materials.Materials are used to create a variety of products from the basic household items to home appliances, from computer chips and aircraft wings to golf clubs and biomedical devices. A good knowledge and understanding of materials is required to make better choices that benefit humans. 15th Annual Congress on Materials Research and Technology, February 19-20,2018,Paris, France; 3rd Annual Conference and Expo on Biomaterials, March 05-06,2018, Berlin, Germany; 15th International Conference and Exhibition on Materials Science and Engineering, November 07-08,2018,Atlanta,Georgia,USA; 3rd Edition of International Conference and Exhibition on Polymer Chemistry, March 26-28,2018, Vienna, Austria; The European Biopolymer Summit 2018,February14-15,2018, Dusseldorf, Germany; Polymers: Design, Function and Application, March 21-23,2018,Barcelona, Spain; Organic Process Research and Development, March 05-07,2018, Clearwater, USA; Photoredox Catalysis for Novel Organic Reactions, April 24-26,2018, Potsdam, Germany; Polymers and Organic Chemistry 2018, June 03-07,2018, Palavas, France; 2nd From Carbon-Rich Molecules to Carbon-Based Materials Conference, June 07-10,2018, Nassau, Bahamas; World Polymer Congress (MACRO 2018), July 01-05,2018, Cairns Convention centre, Queensland, Australia; 19th World Congress on Materials Science and Engineering, June 11-13, Barcelona, Spain; 8th International Conference on Polymer Science and Engineering, October 15-16,2018, Las Vegas, Nevada, USA. Nanomaterials are chemical substances or materials in which at least one-dimension measures less than 100nm.These materials are of high importance nowadays in most fields such as Medicine, Chemotherapy, Drug delivery, Manufacturing processes, Paints, etc., because of their novel characteristics like increased strength, Chemical reactivity or conductivity. Nanomaterials can occur naturally and can also be artificially made. Ultrafine particles are those naturally occurring nanomaterials that results as by-products of combustion processes. Some of the ultrafine particles are volcanic ash,soot from forest fires,welding. Artificially made nanomaterials are those which are engineered for an intention with the physio-chemical properties for a specific purpose or function. The methods of preparing nanomaterials also differ based on the purpose. Nanotechnology is highly used in detecting devices as their nanostructure with greater surface area per weight allows the electrical properties of the detecting elements to be changed easily. Nanotechnology controls matter at the atomic and molecular scale. Several applications of nanomaterials are as follows. Nanoparticles are used extensively in catalysis to boost up chemical reactions. Polymer based nanomaterials have high significance in Analytical Chemistry and research as they can amplify the sensitivity, and improve the stability of traditional materials and methods. Nanomaterials are one of the best cleaning agent for the environment. They are used in water purification processes, detect chemical and biological agents in the soil and air, desalination. Materials can be made to be stronger, lighter, more durable, more reactive, better electrical conductors using nanotechnology. A domain of Chemistry which focuses on the chemical systems that are made up of molecules and deals with the weaker non-covalent bond between molecules. It is a sub-group of physical organic chemistry wherein the understanding of the physics behind non-covalent bonding is on focus. The study of non-covalent interactions is important to understand many biological processes like cell structure formation which depends upon these bonds. Biological systems are the basis of Supramolecular Chemistry. The forces which come under non-covalent interactions also known as secondary interactions between molecules are hydrogen bonding, metal co-ordination, hydrophobic forces, Van der Waals forces, Pi-Pi interactions and electrostatic forces. Host-Guest Chemistry and Self Assembly are the two broad categories of Supramolecular Chemistry. Supramolecular Chemistry is often referred as “The Chemistry beyond the molecule” as it revolves around the intermolecular attractions which covers the structure and functions of the entities formed by the association of two or more chemical species. Molecular recognition is achieved by the non-covalent bonds that exists between the molecules which aids in specific binding involved in several biological systems like Enzyme and Ligand binding, molecular transport, genetic information and processing, protein assembly. Host-guest chemistry works on the principle of lock and key mechanism wherein a larger molecule behaves as a host to which the smaller molecule binds to. Self-assembly is the interaction between molecules via hydrogen bonds when there is no difference in size. DNA is one of the best example of Supramolecular Chemistry. The molecules store information in the form of structural peculiarities. Not only the combined action of molecules, but also the combined action of the characteristic parts of the same molecule is called “Supramolecular”. Major applications of Supramolecular Chemistry include the analysis of chemical compounds which are medically, technically and environmentally important. Supramolecular Chemistry attracts not only the Chemists, but also the Environmental Scientists, Biologists, Physicians, Bio-Chemists, Crystallographers. The complex biological molecules which are difficult to study can be easily isolated and quantified with the help of Supramolecular Chemistry. Sustainable Chemistry is an area of Chemistry and Chemical Engineering which aims in improving the efficiency of products and processes that are friendly to the environment by minimizing the use and generation of hazardous substances. Sustainable Chemistry is also known as “Green Chemistry”. Environmental Chemistry and Sustainable Chemistry are related; however, they differ in the fact that the former explains the effects of polluting chemicals in nature whereas the latter explains the technological approaches to prevent pollution and to reduce the consumption of non-renewable resources. Sustainable Chemistry involves the design, manufacture and use of efficient, effective, safe and more environmentally amiable chemical products and processes. Several principles are adopted to reduce the environmental and health impacts of chemical production and for the development of green chemistry technologies. Several factors are to be borne in mind in the process of creating green environment. Sustainable Chemistry eliminates the risk of chemicals at the design stage itself. The elimination of risks in the beginning of chemical design process have a lot of advantages over our health and environment throughout the design, production, use and disposal processes. The use of alternative and renewable materials including the use of agricultural waste or biomass and non-food-related bioproducts is the major principle of Sustainable Chemistry. Other principles focus on prevention of waste, less hazardous chemical syntheses, and designing safer chemicals including safer solvents. The design of chemical products to safely degrade in the environment, efficiency and simplicity in chemical processes are the other areas of focus in Sustainable Chemistry. A transformation to green chemistry techniques would result in safer workplaces for industry workers, greatly reduced risks to fence line communities and safer products for consumers. The efficiency of Sustainable Chemistry allows companies to consume less raw materials and energy as well as save money on waste disposal. Consumers and business purchasing departments can promote green chemistry by demanding safer, non-toxic products from manufacturers. This will help give a competitive advantage to everyone thereby creating a sustainable environment. Monomer is a single, smallest molecule of a chemical substance which binds chemically or supramolecularly with other molecules to form a polymer in a process called Polymerization. A multi protein complex is made up of a monomeric protein. Monomer is the basic element of the building block of an organic substance. The monomers are connected through covalent chemical bonding, which are formed by the sharing of electrons between atoms. The monomers amino acids, nucleotides, monosaccharides and fatty acids form the four macromolecules Carbohydrates, Proteins, Lipids, and nucleic acids that form up the biological system, each of which have a specific function in growth and development. The monomers of DNA are called "Nucleotides”. The monomers according to their combination are known as dimer, trimer, tetramer, pentamer, hexamer, heptamer, octamer, nanomer, decamer, dodecamer, eicosamer. Monomers are the molecules which carry out the vital functions needed by the cells. It is essential to understand the monomer, the basic structure of polymer to create or modify or improve the already existing polymers performing various functions. A dual functionality monomer, Glycidyl Methacrylate (GMA) is of high purity and it is suited for coating and resin applications. The key feature of a monomer is polyfunctionality, which is the capacity to form chemical bonds to at least to two other monomer molecules. The properties such as adhesion, chemical resistance, substrate wetting, improved weathering is responsible for the improved performance of monomers and oligomers which makes them most suitable for use in coatings. There are some applications which require higher water and oxygen transmission rates without sacrificing basic mechanical or physical properties of the polymer backbone, hydrophilic properties are introduced to the polymer. The property of the monomer is changed and used in optical lenses, membranes, biomedical devices, breathable coatings and other high value-added applications. A polymer is a large macromolecule made up of single small repeated subunits called monomers in a process called polymerization. Polymers can be natural polymers and synthetic polymers where the former one is the biological compounds like proteins in our body whereas the latter one is the plastics like polystyrenes. Polymers possess a broad range of properties like toughness, viscoelasticity, etc., they play a universal role in everyday life. Polymers are studied in variety of fields like Biophysics, Macromolecular science, Polymer Science which includes Polymer Chemistry and Polymer Physics. The products formed from the linkage of repeating units by covalent bonding is the primary focus of Polymer Science. The polymer molecules arranged linearly (unbranched) one after the other forms the “backbone” of a macromolecule. Polymers are usually composed of hydrocarbons, compounds of carbon and hydrogen. Linear polymers when not arranged in a specific order is known as amorphous polymer and those arranged according to a specific order is known as crystalline polymer. The polymers are classified based on many characteristics like their origin, structure, mode of polymerization, molecular forces. Polymerization is the process by which monomers get combined and transformed into polymers. Polymerization is a step by step process which begins with the chain initiation, followed by chain propagation and finally ends with the chain termination step. Copolymers are formed when two different monomers combine to form a polymeric molecule. Polymers are more beneficial as insulating material, materials for gears, etc., They enhance self-lubrication cost savings. Also, noise reduction and weight reduction are achieved by using polymer materials for gears. The disposal of polymers brings certain disadvantages like excess production of carbon dioxide which further adds to global warming, toxic gases are also released. Incineration, land fills and recycling are the best ways to dispose polymers by protecting the environment. Polymers also known as plastics are synthetic organic compounds which are malleable and can be molded in the desired form for different purposes. After the usage, disposal of plastics pollutes the environment in different ways. The traditional plastics are not degraded easily because of their long polymer molecules which are too large and too tightly bonded together to be broken apart and assimilated by decomposer organisms. However, biodegradable plastics have molecules that are readily attacked and broken down by microbial organisms. Biodegradable are the substances which are decomposed by bacteria or other biological organisms thereby not polluting the environment. Biodegradable plastics fits to be one of the best alternative of plastics. Biodegradable plastics are made from many natural plants like corn oil, orange peels, starch. These natural plants made into pulp, melted down and poured into molds of different shapes according to the needs and uses. Injection molded and solid are the two forms of biodegradable plastics in which solid form is used as food containers, leaf collection bags and water bottles. The role of plastics in our daily life is omnipresent. The fact that biodegradable plastics are the products which meets the needs of manufacturers and consumers along with active dilution of environmental risks has attracted most Scientists and Researchers in the plastic industry to continue research on biodegradable plastics. Despite finding new technologies to cut down the environmental pollution caused by plastics, certain awareness on saying “NO” to the excess use of plastics has to be created to save the environment fully. The following four R’s to be borne in mind to curtail the use of plastics: Refuse, Reduce, Reuse, Recycle. Finding an alternative like biodegradable plastic can truncate the effects of plastic in the environment and not fully make the effect to be disappeared on the whole. Therefore, changes in the way we buy, consume and dispose of plastics are just as important as any scientific breakthrough. Polymer characterization helps us to determine whether the polymer is a homo-polymer or copolymer, to know the melting point, chemical filler used, tensile strength and compressibility are also identified by characterizing the polymer. The process by which monomers are covalently bonded to form a polymer chain or network is known as polymer synthesis or polymerization. The polymers are synthesized differently to influence the physical properties like density, crystallinity, melting point and strength. When a polymer is synthesized, water is released as a by product which is known as “Dehydration synthesis” meaning combined while losing water. Even the human DNA is a result of polymerisation of its monomer nucleotides. Polymers are produced by these two chemical reaction types. The former synthesis process in which monomers react and give a repeat unit and a smaller molecule water, whereas the latter forms a highly reactive free radical and a molecule with an unpaired electron. For every molecule, their synthesis has to be understood to analyse, make changes and improve them accordingly. The only material which act as matrices for the incorporation of the widest range of ceramics, nanotubes, nanoparticles, as well as a variety of short and continuous fibres, to create new building and structural materials is the “Polymer”. Polycarbonate, nylon, acrylic, polyester, PET are some of the polymeric materials commonly used. Thermosetting polymers, Thermoplastic polymers are some of the types of polymers. Polymer Chemistry also known as Macromolecular Chemistry is a branch of Chemistry that deals with the properties, processing of macromolecules called polymers. Polymer chemistry also deals with problems related to Medicine, Biology, Biochemistry and Material Science; however, Polymer Chemists focus on synthetic organic polymers due to their commercial importance. Polymer Chemistry is all about analysing and understanding how the monomers combine to create useful materials with the desired specific characteristics by manipulating their molecular structure, the composition, and applying chemical and processing techniques that can affect the properties of the final product. Polymer Science is an interdisciplinary area which can be considered as a sub-discipline of Material Science. It comprises of Chemical, Physical, Engineering, Processing and Theoretical aspects. As the importance of Polymer Science is increasing in our everyday life, it is important to understand the structure/property relationships of polymeric materials. The knowledge of Polymer Science is utilized to save energy by improving renewable energy through various technologies. Polymers are designed at the molecular level by the engineers to understand them better using computational methods. Apart from the natural polymers in the biological environment, most polymers are synthesized artificially with the knowledge of polymer design. The strength of the polymer material is imparted to it through a series of steps which are involved in the design of a polymer. Different patterns and tools are available to design a polymer. 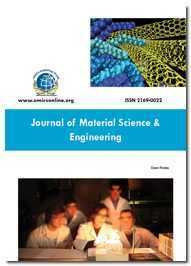 Polymer Engineering is a sub-branch of Material Science where the engineering of new products is in foreground. Many challenges have to be faced by a Polymer Engineer like the maintenance of viscosity, temperature, pumpability, etc. Polymer Engineering has now engulfed the areas of research and made the contemporary scenario to be called as “Polymer Age”. “Polymeric biomolecules” or the Biopolymers are polymers produced by living organisms. Polynucleotides, Nucleotides and Polypeptides are the three main classes of polymers. Biopolymers contain similar sequences, same number of monomers and similar molecular mass. 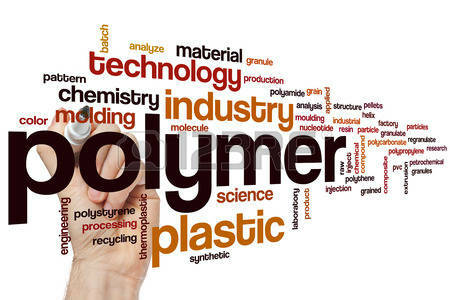 The two broad classes of Polymers, namely Biopolymers and Synthetic Polymers differ in their structure wherein the Biopolymers have a well-defined structure and the Synthetic Polymers are arranged in a random order with a simple structure. Polymers are used in different day to day applications like domestic plastics, pipes, bags, wires, etc., based on their strength, withstanding pressure and various other properties. The real understanding of the polymers, their properties and the process is much more important so as to choose the most suitable material for its purpose. The proper choice of material according to the purpose predicts the potential, performance and behavior in the real world. Smart polymers are high performance polymers which are sensitive to many factors like temperature, humidity, pH, light intensity, magnetic fields, etc. They respond to the stimuli and they change colors, shape, become conductive or permeable to water. Therefore, these polymers are called “Stimuli-Responsive Polymers”. These highly responsive smart polymers are used in drug delivery, self-adaptive wound dressing, and many other medical and general applications. The fundamental impact of Material Chemistry in Regenerative Medicines provides many upcoming platforms in tissue engineering. Different methodologies are adopted to replicate morphologies and architecture, of mineralized tissues like dentine, enamel and bone that require regeneration. Plastics and polymers are now developed with vascular network which are filled with regenerative agents acts similar to biological healing whenever damage occurs. The advancements and innovations using the polymers is achieved in the field of medicine to a greater extent. Polymer scaffolds that help in healing damaged tissues, artificial polymer skin, tumor killer, polymer lotion, artificial cornea, antibacterial hydrogels, elastic medical devices are the important recent innovations of polymer technology in the field of medicine. Flexible robots which helps the Scientists and Doctors are designed used polymers. With the self-repairing mechanism, polymers are now employed in repairing scratches in cars that require less materials to repair instead of replacing the entire part or resurfacing the entire area. The future of Polymer Chemistry shines bright as there is a welcoming demand for polymers. To be specific, biopolymers will be of high interest because of its ability to be one of the best alternative for conventional plastics that too with the goal of protecting the environment. The Chemical Industries are capable of producing high quality polymers with distinct standards by utilizing the technological developments made. The current innovations and the research that has been initiated in Polymer Chemistry and Material Science gives an assured future to the polymers in almost all aspects of our everyday life. ConferenceSeries invites all the participants from all over the world to attend “International Conference on Materials and Polymer Chemistry” during July 05-06,2018 at Bangkok, Thailand which comprises of keynote presentations, Oral presentations, Poster presentations and Exhibitions. Chemistry 2018 covers all the aspects of related field researchers, the forum of Scientists, and students from all corners of the globe, gather to discuss about Materials and Polymer Chemistry and its recent trends. 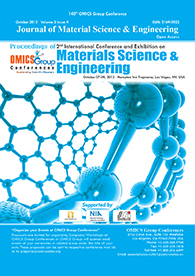 The sessions of the conference can give a brief explanation on the various approaches developed to inspect the parameters such as molecular weight, polydispersity, viscosity, hardness, stiffness and other application-specific properties of the polymer which are of high importance in research. Many corresponding high-throughput techniques have been developed in the recent years and their introduction into the commercial market further promoted the development. The global engineering resin and polymer alloy/blend market touched 24.1 billion pounds in 2014. The market has marked up to over 25.2 billion pounds by 2015 and estimated to reach nearly 31.4 billion pounds in 2020, with a compound annual growth rate of 4.5%. 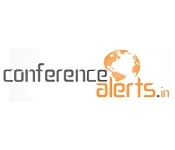 The key applications of Polymers including automotive, engine products, electrical appliances, medical devices, construction materials, packaging items, optical lenses, aviation products, etc., are to be discussed in the conference Chemistry 2018. Materials scientists and Polymer Chemistry engineers work in several areas like Materials process engineering, research and development, quality, technical support, management, technical sales and marketing, and more. Employers may vary from primary material producers and refiners to utility providers, the transport industry, the defense force, universities, research institutions and multinational technical consultancy firms. Lot of opportunities are available for scientific and commercial ventures in the areas of forensics, bio-materials, electronic devices, nano-materials, etc. Nylon, nylon 6, nylon 6,6. Thanks for attending Materials Science 2017! 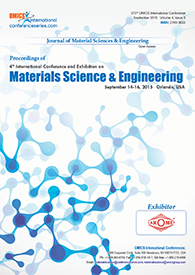 Another Materials Science Conference has been effectively finished - The 14th version – and we should express profound gratitude to the participants, Renaissance Las Vegas Hotel Staff, and the Organizing Committee, Ad-Sponsors and Media accomplices and every other person made this 14th International Conference and Exhibition on Materials Science and Engineering with the subject: Excavating the technology at Blue Sky a successful conference. We hope that you got the sort of propel specialized data in the field of Materials Science and Nanotechnology that you were looking for, and that your part in the field has been upgraded by means of your cooperation. We trust that you could partake in every one of the sessions and exploit the enormous headways in Materials Science and Engineering that researchers are working with.